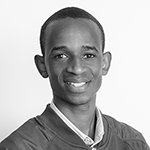 Paul Nduhuura is a PhD Researcher under Vulnerability Assessment Risk Management and Adaptive Planning (VARMAP) Section and Pan African Cooperation and Educational Technologies (PACET) Program within the frame of Water and Energy Security for Africa (WESA) project. He holds a joint MSc degree in Energy (Engineering Track) from the Pan African University Institute of Water and Energy Sciences (including climate change), PAUWES and the University of Tlemcen in Algeria. Mr Nduhuura’s research interests are in critical infrastructure resilience especially for electricity supply systems in Africa in the face of changing environmental and climatic factors. He is also passionate about finding approaches to support the uptake and use of sustainable energy. Following his undergraduate degree in Chemistry and prior to joining the UNU-EHS, Mr Nduhuura acquired four years of professional work experience both in the private and public sectors in Uganda. He was involved in implementing Quality Assurance programs in the manufacturing sector and later in product testing and standardization – at a national level – with the Uganda National Bureau of Standards. As part of the first cohort of students at PAUWES, he also held various student leadership positions and actively supported the establishment of an online Community of Practice platform at the Institute with support from UNU-EHS. In 2016, Mr Nduhuura completed a three months research stay at the Institute for Technology and Resources Management in the Tropics and Subtropics (ITT) at TH Köln, Germany. Under the co-supervision of Dr. Matthias Garschagen, Head of Vulnerability Assessment Risk Management and Adaptive Planning (VARMAP) Section, Mr Nduhuura is currently undertaking research aimed at developing knowledge-based methods and tools to support planning and management of disaster-proof electricity infrastructure in Ghana.